We are so Blessed to be Alive & able to take advantage of this Amazing place we call Earth. However, Let's keep it 100. We live in a world that is filled with Toxins. From the atmosphere, to poor food choices, & everyone trying to balance their Work/Life & Families, It's unfortunate, but no surprise that Most of Us have been plagued by some form of Stress or Illness in our lifetime. You're having difficulty losing those extra pounds. You're fatigued, stressed, depressed, or suffering from anxiety. You want to eat healthier for Prevention, or due to recovery from Illness. You want to Transition to a Plant Based Diet. "You're Sick & Tired of being Sick & Tired." You want to Create a Healthier, More Natural Lifestyle, but you have no idea where to start. ​Well, No Worries! "We've Got You." ROOTS Wellness is here to guide you through your Transition. We take a Holistic Approach in assisting Our Clients in "Upgrading" their Lifestyle. A Holistic Lifestyle aims to balance the Mind, Body & Spirit by getting to the “root” of the problem or ailment. At ROOTS Wellness we incorporate Natural & Indigenous healing methods from various parts of the world. 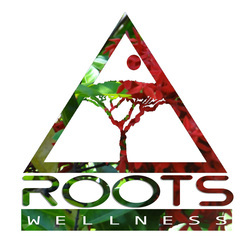 If you are Interested in Inviting ROOTS Wellness for Your Next Group, Company, or Organization Meeting, Please Contact Us for Details.